As Gwen’s story has been reaching families all over the country, the response has been overwhelming. Many have responded to tell me how this story has touched their hearts. It has been a very humbling experience. I have been asked, “Why the dragon on the book cover?” Let me explain. I have always been amazed at the concept of dragons. I don’t know if they have ever existed, but I love believing they did … or will. Dragons are even mentioned in scripture from time to time in Isaiah, Ezekiel and Revelation, and have always been portrayed as overwhelming, fierce, and unrelenting. 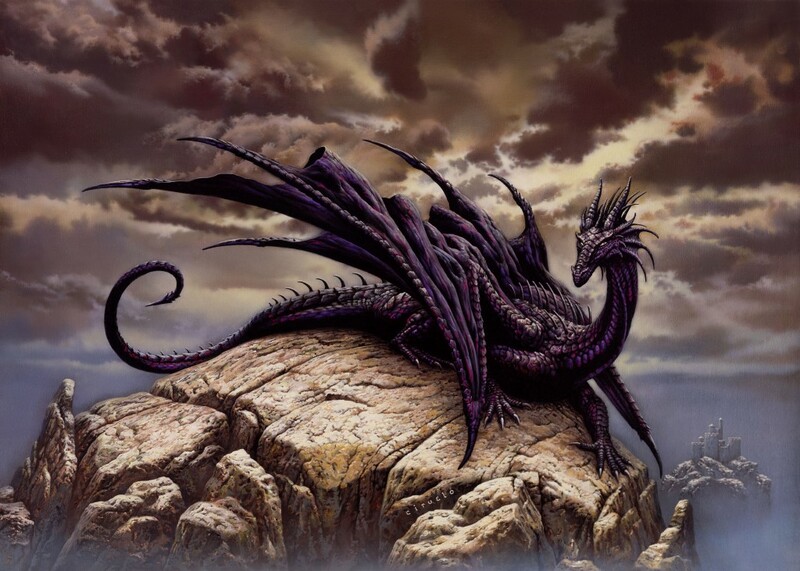 In the midst of Gwen’s battle with cancer, I showed her a picture I had found on the Internet of a powerful and majestic black dragon drawn by Ciruelo Cabral, an extremely talented artist from Barcelona, Spain. She looked at the drawing intently before saying, “Don, that looks like what’s growing inside of me.” I remember feeling a chill as I stared at the image after that, wondering how we would ever battle such an ominous foe.Throughout the journey of battling the cancer, the black dragon image surfaced over and over as God remained faithful. In the end, it was not the dragon that came for Gwen, it was Jesus. That is incredibly significant. The cover art of the book was, in fact drawn by Ciruelo Cabral who listened to Gwen’s story and granted me permission to use the Black Dragon. Have you ever seen God deliver you from a foe too powerful for you to conquer on your own? Tell me about it. I would love for you to leave a comment here.